As for Fall 2015 collection, color trends are sumptuous and refined. As always, Pantone, the guru of colors, proclaimed the most glamorous tints: from a hot, darker Marsala to the greys, greens and unisex shades, up to the colder and technical tones, let’s say the most “urban” ones. 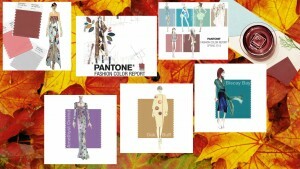 Pantone is the world leader in the matter of colors; and well ahead of time it is able to disclose the chromatic palette all designers will follow to create their winter collections. During Milan, New York and Paris fashion shows, it has been immediately clear that the new trend will be that of a cold, surely unisex and a bit serious fashion. In applying the tints imposed as seasonal ‘must’ by Pantone, designers have paid homage to the American history: from the roaring Twenties to the modernist hippy style of the Sixties and Seventies, betting on unisex models. An adventurous spirit characterizes the outfits of the next cold season, from the military to the urban-luxury style, condescending and discreet, unapproachable and impassible in their rigorous, uniform-like attires; this style is exacerbated by the lack of movement in its strictly plain-colored fabrics.